Did you receive a very sparkly, special gift on Valentine's Day? If so, then it's time to start planning your wedding and reception at Pheasant Field Bed & Breakfast! Most of our spring and summer dates are already reserved but there are several dates still open in September 2012 and 2013. Will it just the two of you, just a few of you, or a whole slew of you? 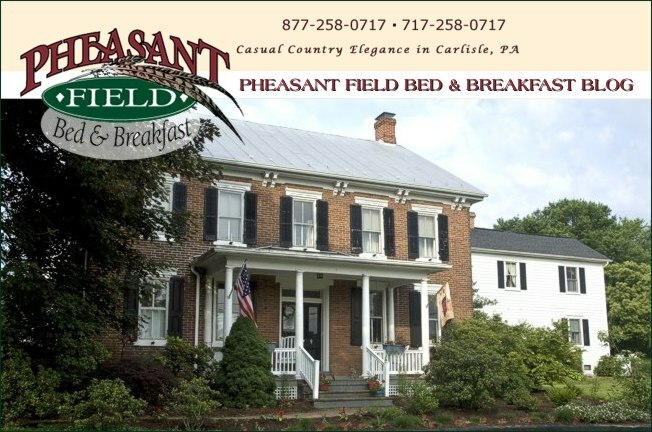 We can host from 2 to 300 guests for weddings and receptions at our Carlisle, PA B&B. Come tour our property and find out about our Carlisle wedding venue and services. We will do all that we can to make your special day hold wonderful memories.